Eadaoin Briody has had a long association with the visual arts, with particular experience of making art in public spaces. Working mainly in acrylics, Eadaoin has undertaken various projects for the HSE and the Dept. of Education. Tom Gray came to live in Virginia in 2004 , and became involved in Community affairs in the Town. He also joined The Virginia Art group and started to work in watercolour. Tom has successfully exhibited in several art shows as a member of the Virginia Art Group and has undertaken private commissions. Tom is currently working in oils and is involved with the Moth Studio in Cavan and is enjoying the experience. Sinéad Vaughan-Thompson is a mixed media and textile artist based in Virginia, Co. Cavan. Inspired by a love of nature and the beauty of the local landscapes to produce contemporary pieces of impressionistic and abstract art. Painting mediums include oils, acrylics and French dyes on pure silk fabric to create “wearable art”, hand painted silk scarves and abstract paintings on silk. Jim McPartlin has staged many successful solo exhibitions around the county and is currently exhibiting his paintings at the Ramor Theatre in aid of Trocaire. His work has proved popular locally and has been acquired by private clients and commercial and semi state bodies. 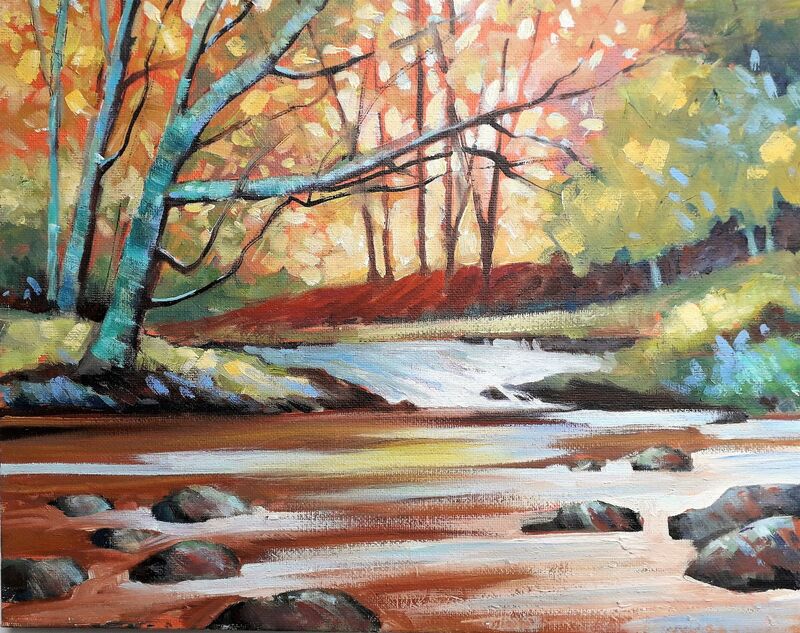 Painting mainly now in Oils and Acrylic, Jim specialises in landscape painting and is inspired by the Cavan scenery.